We want you and everyone else who comes to the Meredith Supernatural Amphitheatre to get here and back safely. We also want you to avoid trouble with the police. Every year for more than a decade there has been a Booze Bus operating on the road either to or from the Supernatural Amphitheatre, and sometimes both. In recent years these buses have also been testing for drugs. We do not condone the use of illicit drugs and, quite frankly, consider driving under the influence to be a clear infringement of the No Dickhead Policy. Your best option is to avoid driving altogether. Organise a bus, or ask (very kindly and with twinkling eyes) someone to drop you off and pick you up. If that can’t be arranged, designate a driver well before you arrive. 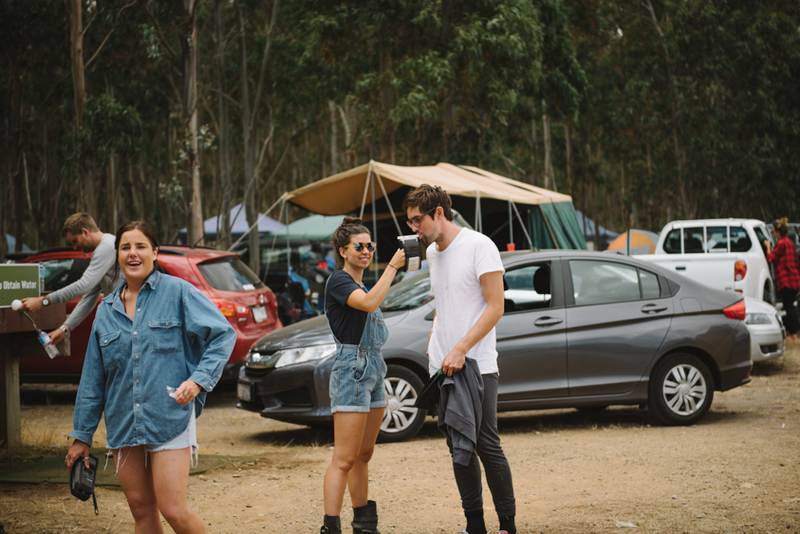 For those of you who are driving and have imbibed over the course of the weekend, breath-testing will be available at Reception on your way out, as well as Helper Hut Central (Info) and the Helper Huts on the last day. Make sure you check your blood alcohol content before you get behind the wheel. You can also find out more information about drink and drug driving at your nearest Helper Hut. Massive thanks to the TAC and ‘Vanessa’ for this wonderful program. And many thanks for your solid behaviour here.